RIO DE JANEIRO -- Four people died Sunday in a riot at a prison in Brazil, the nation's third deadly prison uprising in seven days. 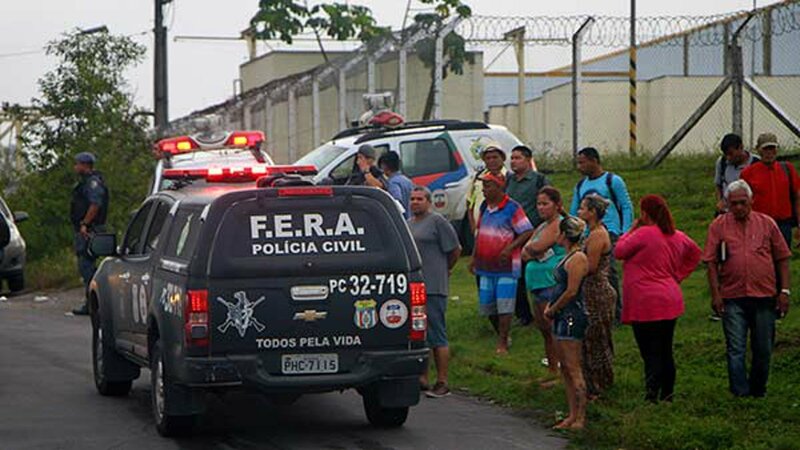 Three inmates were decapitated and one was asphyxiated in the Desembargador Raimundo Vidal Pessoa public jail in the northern part of the country, reported the Amazonas State Penitentiary Administration Secretariat. Video showed heavily armed police officers entering the prison in the center of Manaus, a city with 1.7 million residents. The jail, which was shut down in October because of improper conditions, was reopened last week after deadly uprisings at other prisons in Brazil. Nearly 300 prisoners had been transferred to the jail, with state authorities saying they would remain for three months. On January 1, at least 56 prisoners died in a riot at the Anisio Jobim Penitentiary Complex, also in Manaus. A Friday riot at the Agricultural Penitentiary of Monte Cristo, in Brazil's Roraima state in the Amazon, left at least 33 people dead, authorities said. Twenty-five people died in October in a riot at that same prison. The federal government said last week it will make resources available to the states to improve the local prisons under a new federal security plan. Federal and state officials think the uprisings in Amazonas state were caused by a territorial dispute between rival gangs First Capital Command, known as PCC, and Families of the North, known as FDN. The uprisings in Roraima state are still being investigated. According to state news agency Agencia Brasil, Roraima state has requested assistance from the National Guard to police its prisons. The initial request came after an October riot at the Agricultural Penitentiary of Monte Cristo.